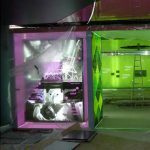 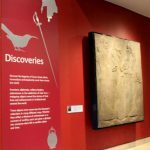 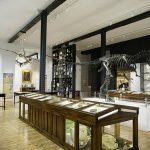 The Evolution of Life gallery of the Lapworth Museum of Geology, featuring replica Allosaurus and Pteranodon skeletons, and a floor-to-ceiling rock wall, commissioned and fabricated by Us! 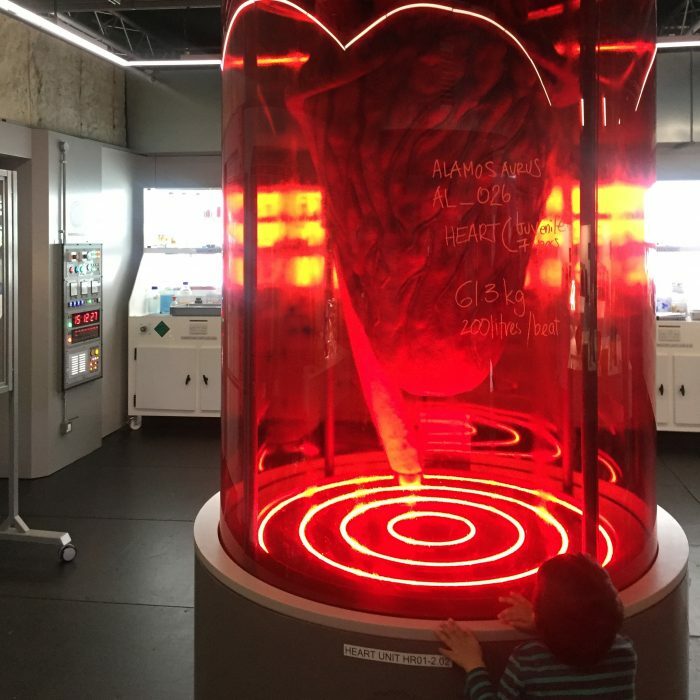 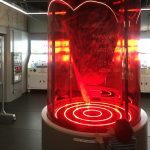 We provided the stand for the Dinosaurs in the Wild Alamosaurus Heart display. 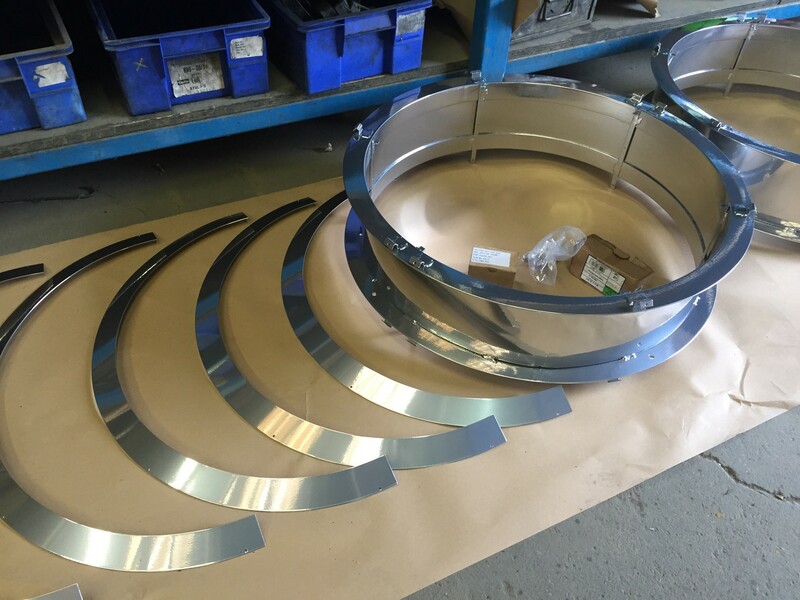 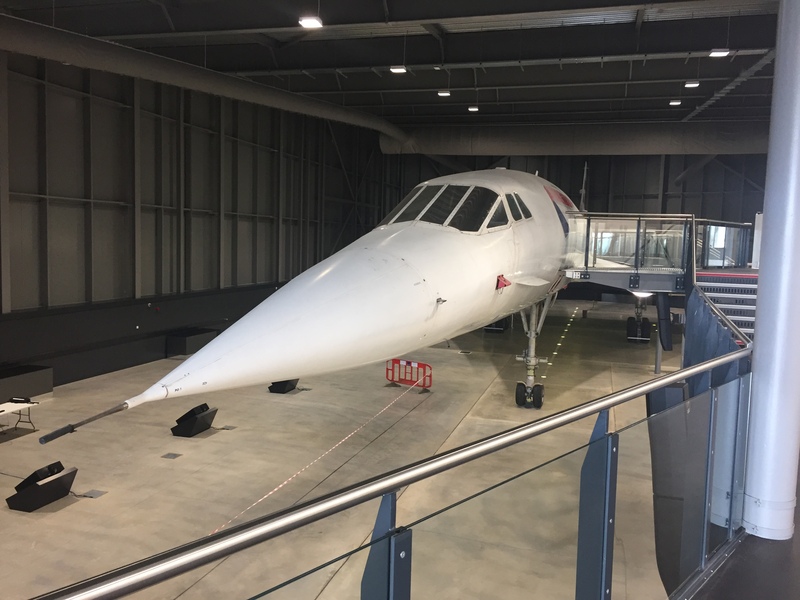 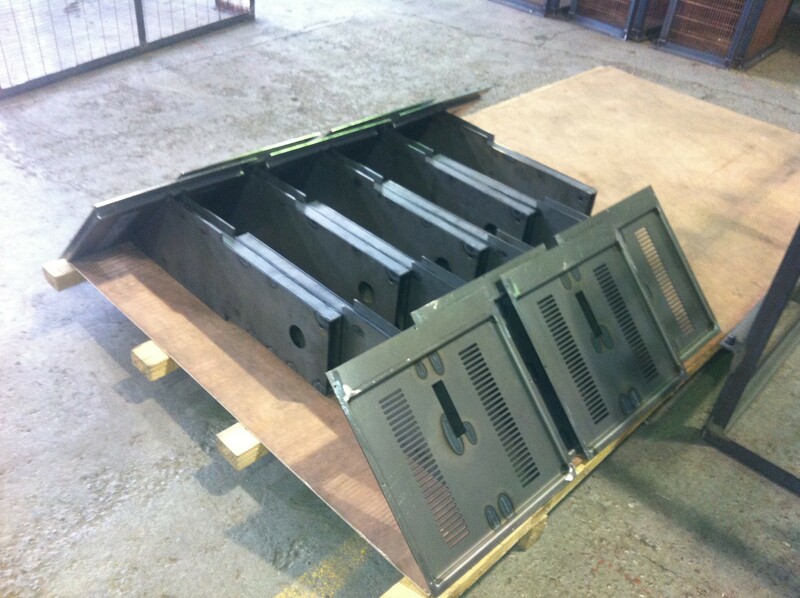 We were asked to fabricate some monitor housing for use at the new home of Concorde. 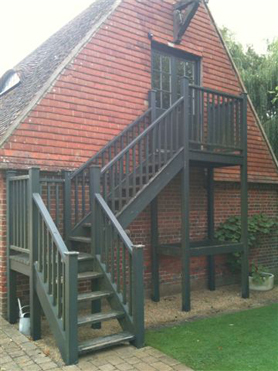 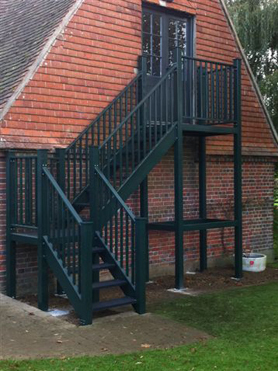 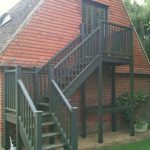 We were approached by Mr and Mrs Etherington from Hampshire who had a rotten wooden access stairs to some living accomodation above a listed building within their grounds. 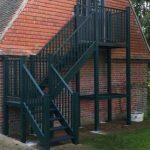 We made a site visit to survey the existing staircase and quoted them to make an exact bespoke copy in steel. 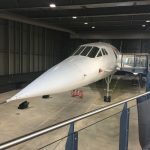 Mrs Etherington was delighted with the likeness! 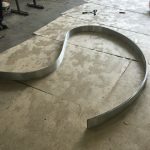 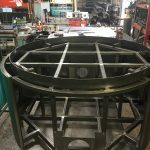 We were approached by Beck from London to make the metalwork for a mock up for portal frames for an exhibition of atomic energy at King Abdullah City in Saudi Arabia. 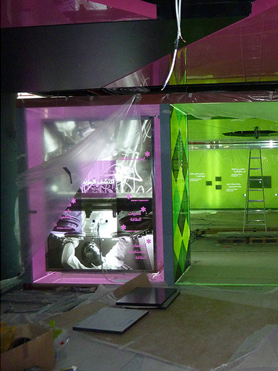 After completing the mock up we then made twenty one portal units and a large totem to a tight schedule. 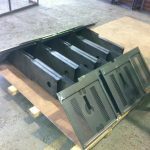 these included frames from rectangular box section, heavy duty floor plates and powder coated cladding. 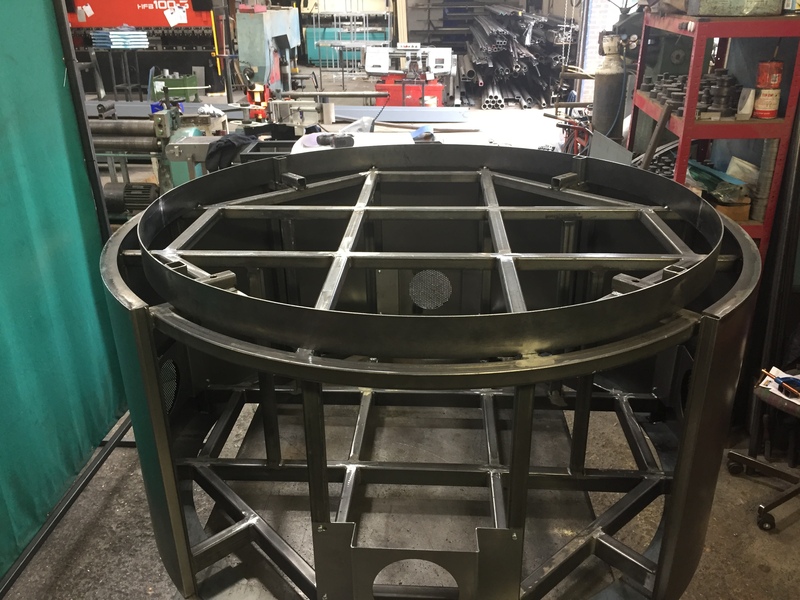 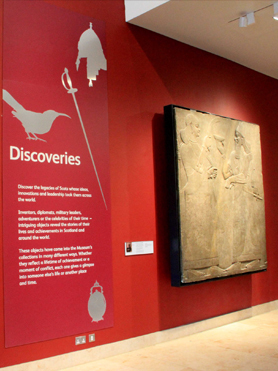 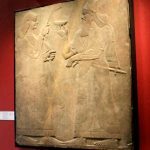 Working to a museum design we were asked to fabricate a bracket to support an Assyrian Relief which weighs 4 tonnes for the Royal Museum of Scotland in Edinburgh the stone is valued at several million pounds and is certainly the most expensive thing we have ever make a bracket to support! 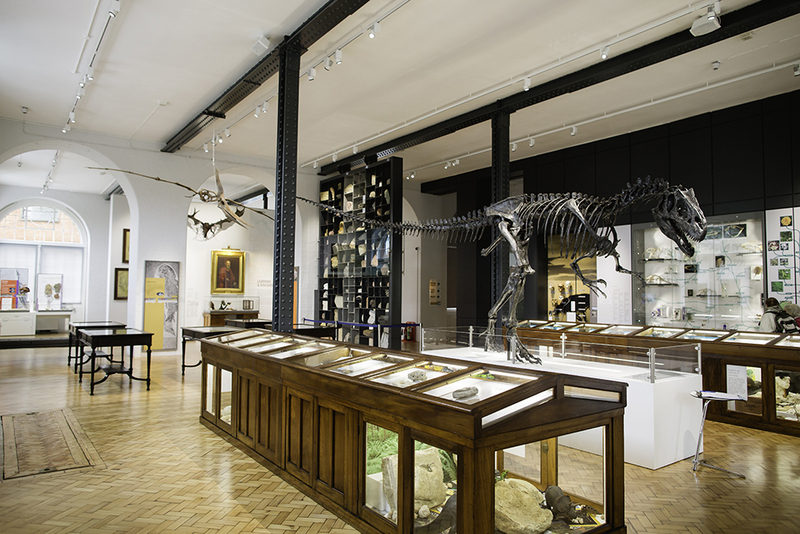 This was one of a total of 22 brackets and base plinths in the recently refurbished Victorian part of the museum. 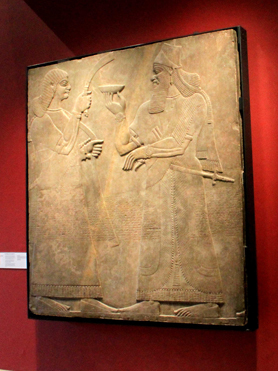 For more information on this piece you can click here. 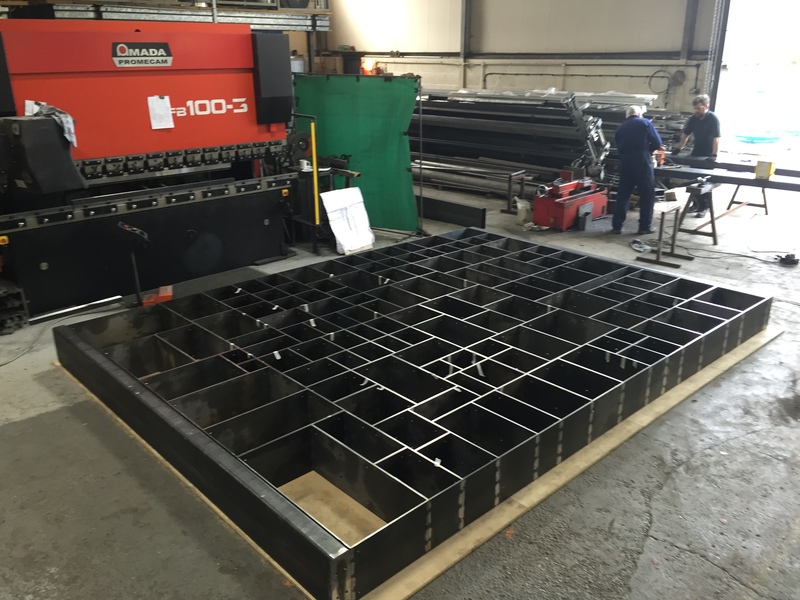 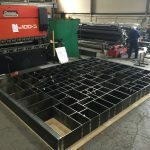 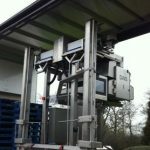 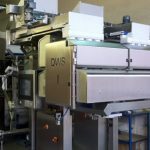 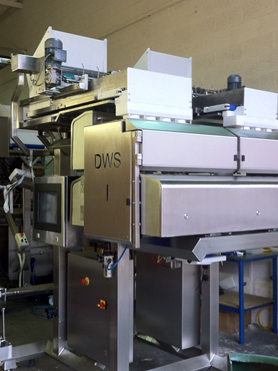 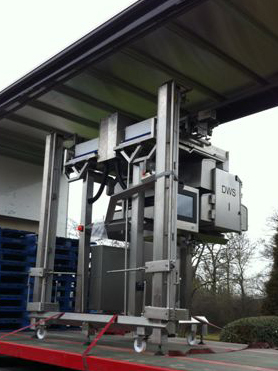 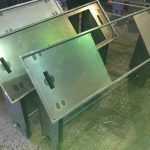 We were asked to manufacture two off Multi Head weighing machine frames for DWS packaging. 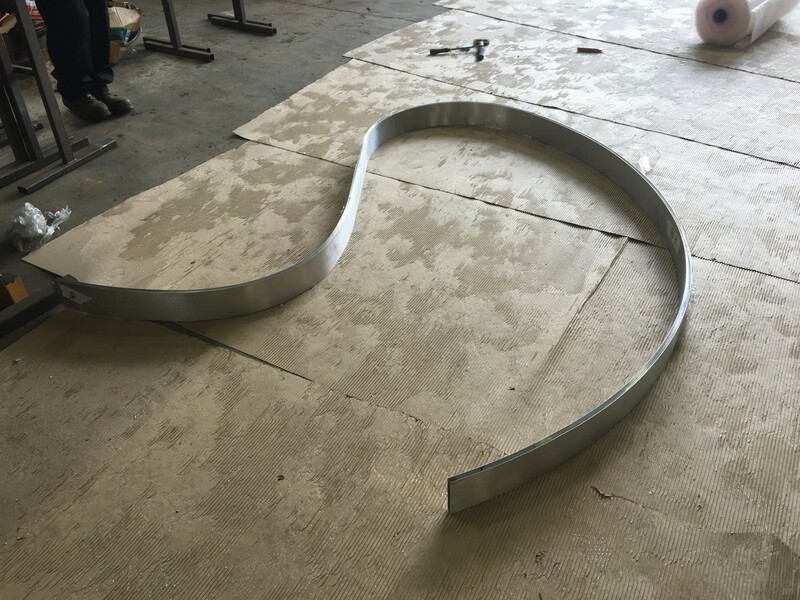 These were fabricated from 304 grade stainless steel. 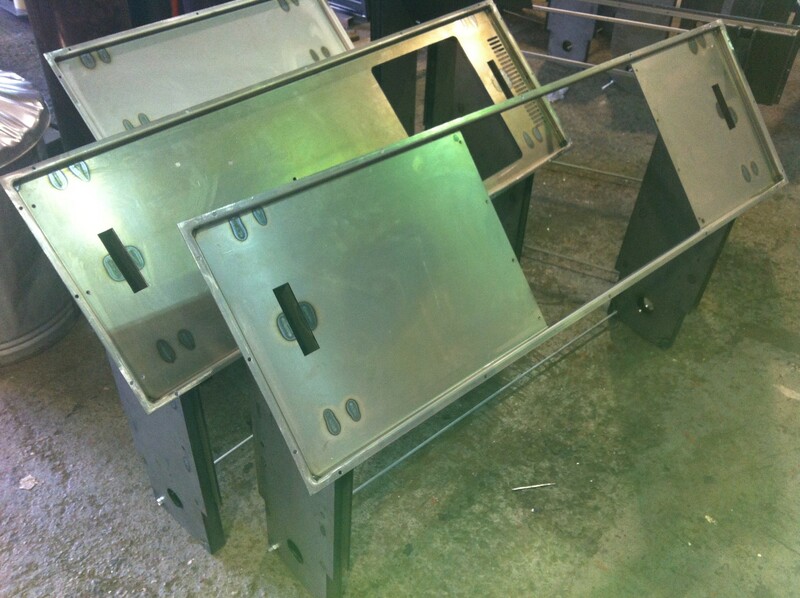 These were made to tight tolerances and all joints were TIG welded to food industry standards. 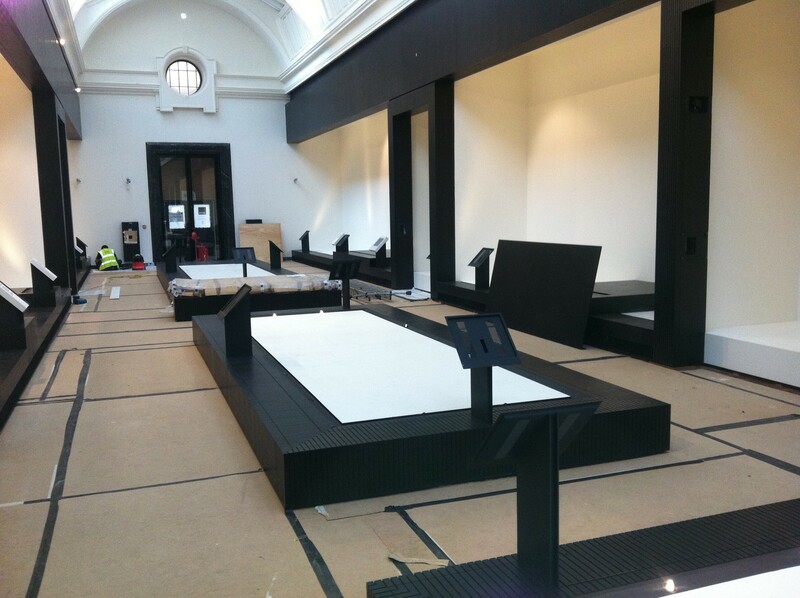 Rowan UK were contracted by Beck to supply powder coated metalwork Items for the recent fit out of the new furniture gallery at the V&A museum in London. 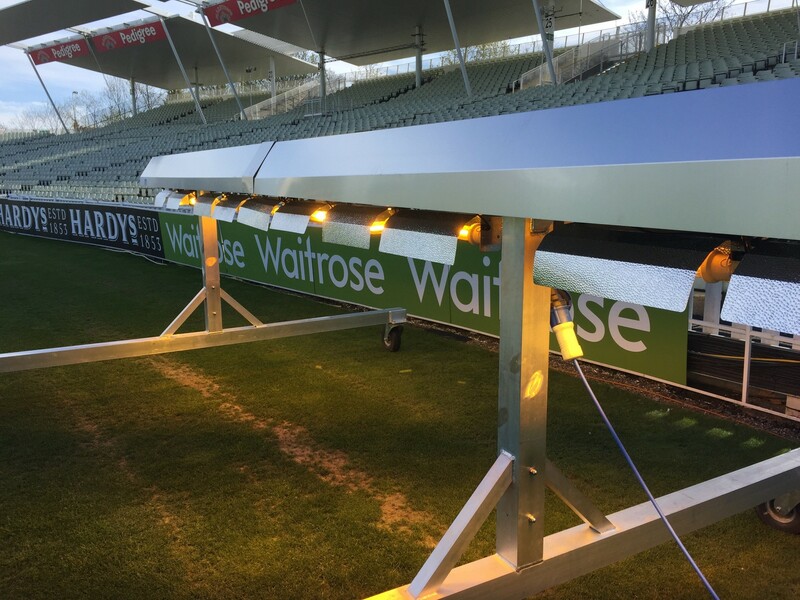 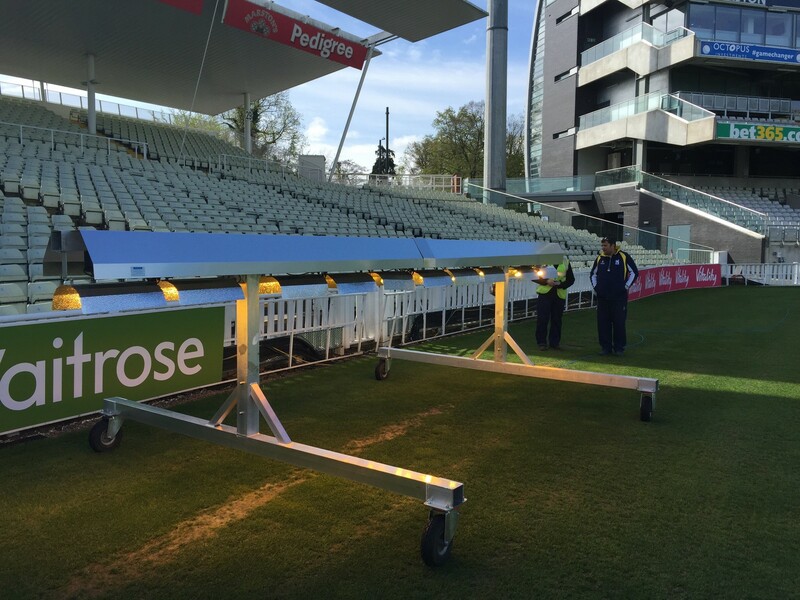 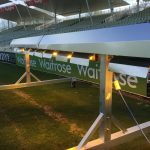 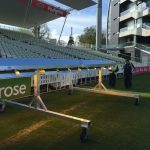 Warwickshire County Cricket Club contacted us and asked us to design an aluminium lighting rig frame for use on their Edgbaston ground. 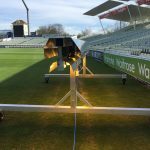 The lighting fixtures are provided by West Midlands Police after being seized from cannabis farms in the area. 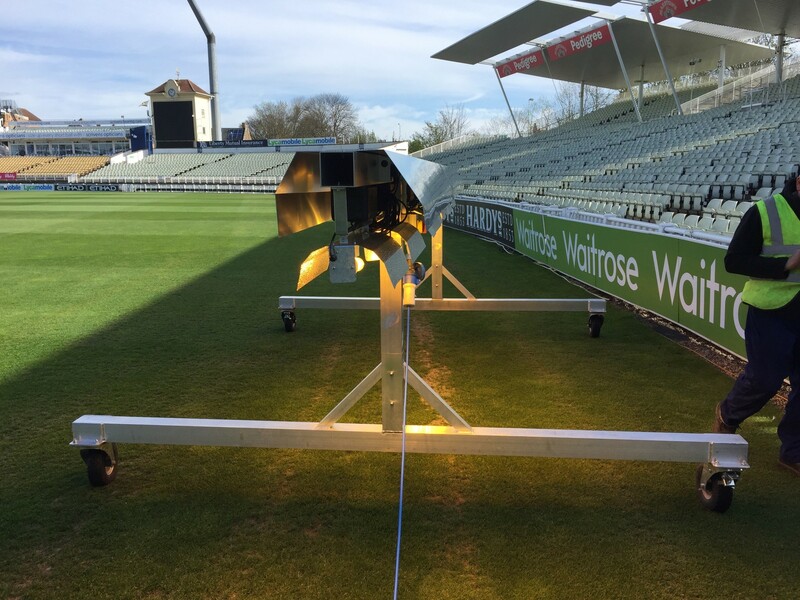 The rig is used on shaded areas of the outfield and also on the pitches to promote grass growth. 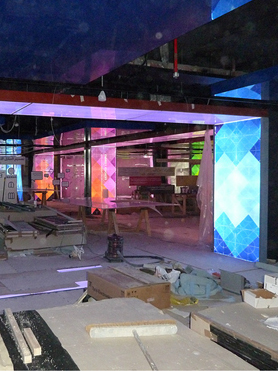 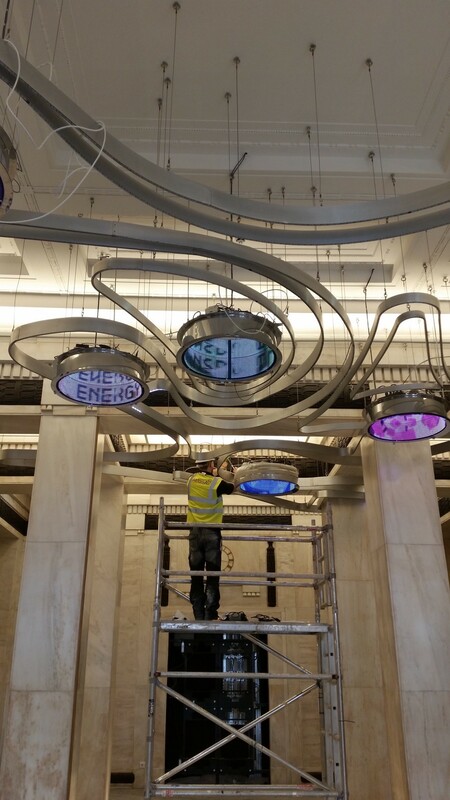 Rowan UK were asked to manufacture a digital Chandelier for the ITC building on the banks of the Thames in London. 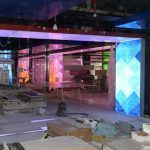 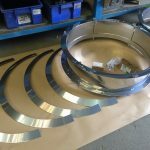 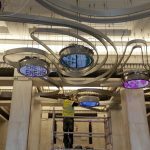 This involved manufacturing numerous bespoke sections of ribbon from sandwiched aluminium together with chromed orbs to complete a stunning end product.